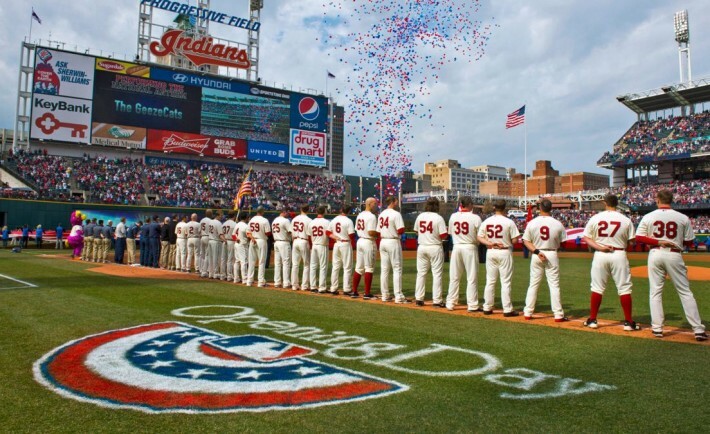 2015 Season: The 2015 season was a disappointment for the Cleveland Indians. Sporting one of the best rotations in baseball, many people had this Cleveland team competing to win the AL Central. Instead, the Indians stumbled to a 81 win season, missing the playoffs for the 7th time in the past 8 years. The biggest bright spot for the team was the rise of blue-chip prospect Francisco Lindor who dominated Major League pitching upon being called up mid-season, hitting .313 with 51 RBIs while playing an excellent shortstop. He should man that position for the next 10 years wearing Cleveland red. In addition to Lindor, the pitching continued to dominate, tossing the 2nd lowest ERA in the American League while Cleveland starters struck out the most hitters in the Majors. This is a good young crew that should only get better in 2016, so long as they can get the requisite offense to match. Key Additions: Despite struggling at the plate in 2015, 18th in scoring, the Indians failed to go about signing an impact bat in an offseason littered with them. They instead decided to go the scrap heap way, adding first baseman Mike Napoli, third baseman Juan Uribe, outfielder Rajai Davis, and signing aging slugger Marlon Byrd to a minor league contract. None of these moves particularly moves the needle for this team, as what was an average to below average offense will probably remain just that this season. If you listen closely… you can hear Harry Doyle now…. In addition to the ‘big’ pieces added to the roster, Cleveland also added Collin Cowgill, Joey Butler, and Will Venable for outfield depth while bringing 31-year-old reliever Dan Otero who will be playing for his 4th team in the last 5 seasons. Overall it was a wasted offseason for the Indians. Key Losses: While Cleveland didn’t add much to the roster, it also didn’t lose much. They bid adieu to infielders Mike Aviles and Chris Johnson, outfielders Ryan Raburn and Jerry Sands, and starter Shaun Marcum. There won’t be much weeping over the loss of any of them by the Cleveland faithful. At first glance, this lineup may seem uninspiring. And you would be correct. Once you get past 1-4, there is a significant drop off in batting average and overall production. This lineup will be built on a lot of small ball at the top and ‘hope for a home run’ from the bottom. Star outfielder Michael Brantley, one of the few true offensive players on this team, will start the season on the DL. When he returns, expect newcomer Rajai Davis to switch back over to center while Brantley will slot into the 3 or 4 hole in the lineup. While I have been on record complaining about the offseason offensive additions (or lack thereof), adding Mike Napoli was a nice bargain pick up who should fit well with this team. 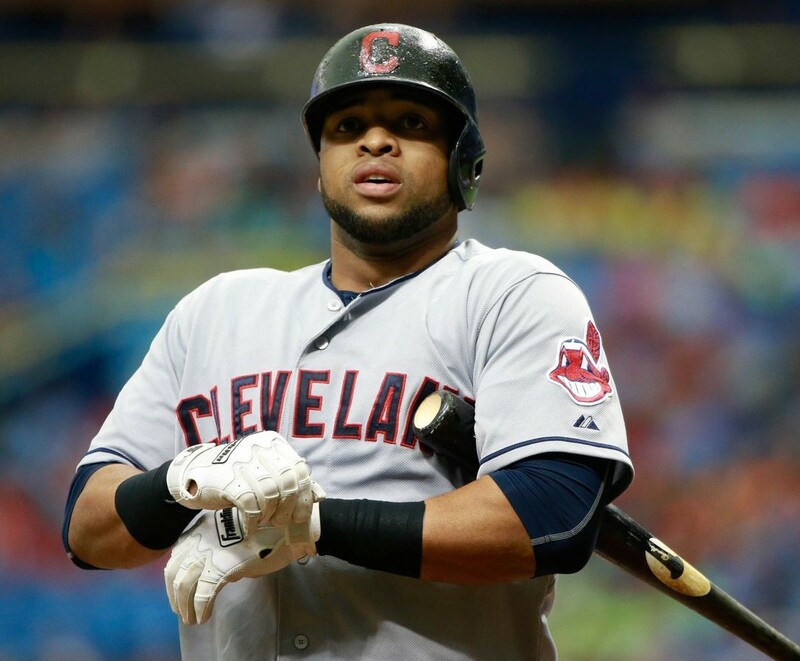 He is a very good fielding first baseman which will not only help the defense, but it also allows Carlos Santana to abandon the first base glove for more time in the cage as he will be the primary designated hitter. A full year of Santana focusing only on offense should hopefully see an uptick in production while Napoli is a vast improvement over Santana defensively and a serviceable replacement offensively. Keep an eye out for position battles in the outfield, as I currently have prospect Tyler Naquin slotted to be the starting center fielder opening day. He has hit well so far this spring and may win the job out of camp, but with the veteran Byrd recently added to the roster, I would not be shocked if Davis opens up the season in center and Byrd is covering right. This decision will be much harder once Brantley returns, as Lonnie Chisenhall is also in play for time in the outfield, but if this offense struggles to score runs and back up their pitching staff I could see the powerful Byrd in the lineup more often rather then the contact focused, defensively superior alternatives. This rotation has a very Mets feel to it. The Top-4 pitchers are all under 29-years-old (Tomlin being the oldest at 31) and love to throw hard and strike people out. Not many teams have 2 pitchers who can hit 200+ strikeouts, while this team has the potential for 4 of them. 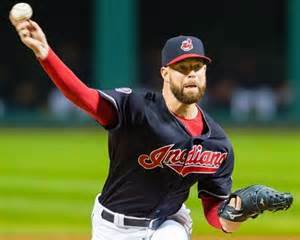 Kluber is the ace of the staff, and while his numbers last year look unimpressive, his peripherals were excellent and is only a year removed from an AL Cy Young award. The trio of Kluber, Carrasco, and Salazar could be one of the best threesomes in the game, all of whom have the ability to dominate games on their own. Whatever success the Indians hope to have in 2016 and beyond is tied firmly to the arms in the rotation. If these 5 pitchers can stay healthy then they should remain at the top of the league in ERA, runs, and strikeouts for the next 5 years. Now they just have to put the right offensive piece around them. Following up the stellar rotation is the Indians’ bullpen which was threw the 4th lowest ERA in the Majors in 2015. The back-end of the ‘pen remains basically the same as last year with the addition of Dan Otero to provide those “up by 7 runs” or “down by 7 runs” innings all middle relievers love. 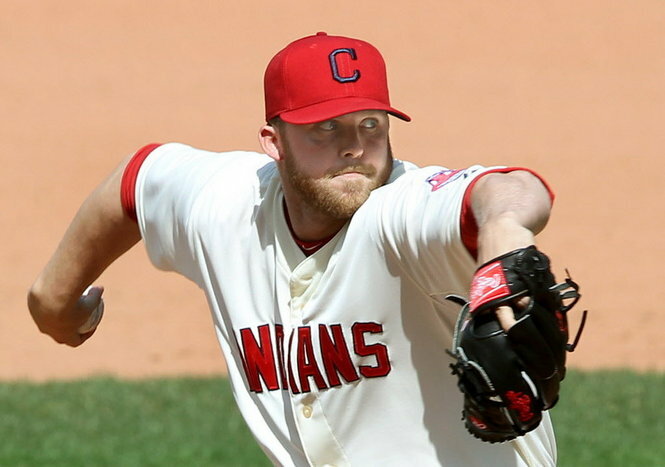 Quietly, Zach McAllister and Bryan Shaw have become two of the more dependable set-up arms in the AL while closer Cody Allen will continue his practice of making Cleveland fans sweat before shutting down the game. If this unit pitches as well as they did last season the Indians may be able to pull out a couple more close games then a year ago. HBT’s 2016 Season Prediction: 2016 will be more of the same on the shores of Lake Eerie. This is a team with a great rotation, a good bullpen, and an average offense. I don’t see that changing much this year. With their lack of interest in spending in free agency, the Indians, similar to the Angels, will be looking for much of their offensive help to come internally and on one year veteran deals. As the rest of the American League improved over the last couple months, Cleveland has fallen behind in their pursuit of an AL Central title. I see a repeat of the 2015 season in store this year as the Indians refuse to put one of their 4 pitchers in a midseason trade for a bat and end up winning 82 games on the backs of their pitching staff.